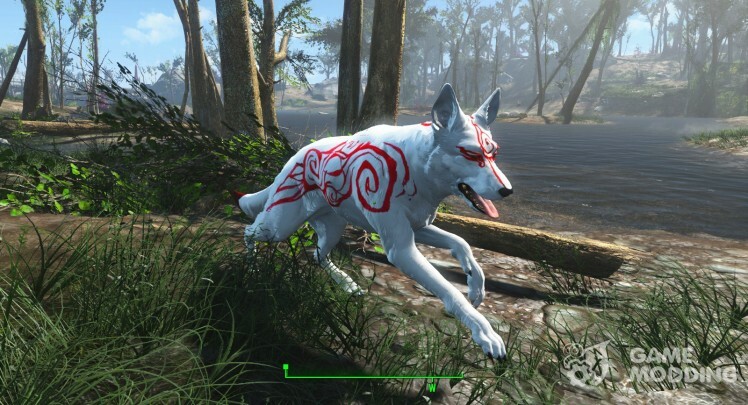 This mod is replejser for a dog that will turn the dog to the Wolf-ëkaâ Okami. It looks very stylish. I especially like the combination of red and white.